IOWA CITY — Before the season began, this isn’t the game anyone would have pointed to as a major showdown in the Big Ten basketball race. The Quad-City Mallards acquired rookie goaltender P.J. Musico from the Greenville Swamp Rabbits for an undisclosed amount of cash Tuesday. Follow along with the only officially sanctioned second-screen companion to the live CBS telecast of the 57th Annual Grammy Awards. For King & Country win their first GRAMMY for Best Contemporary Christian Music Album for Run Wild. Live Free. Love Strong. Congrats pour in for Best Gospel Performance/Song winners Smokie Norful and Aaron W. Lindsey. 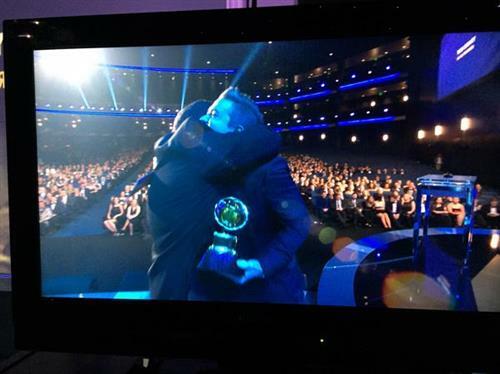 @MotownGospel @aaronlinzy @smokienorful Congrats on the #Grammy win!! So happy for you guys, praise/glory be to God! "There's a lot of guys up here. It's a basketball team." - Lecrae, winner for Best Contemporary Christian Music Performance/Song for "Messengers"
Winners for Best Contemporary Christian Music Performance Song celebrating next to me after hearing their names after "...and the GRAMMY goes to..."
You know what's also trending? 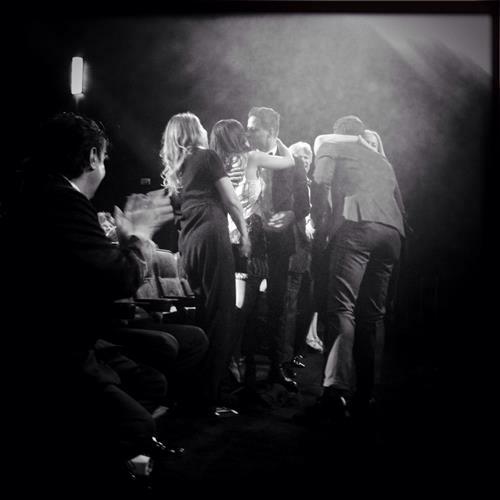 The Academy's health and human services organization MusiCares. 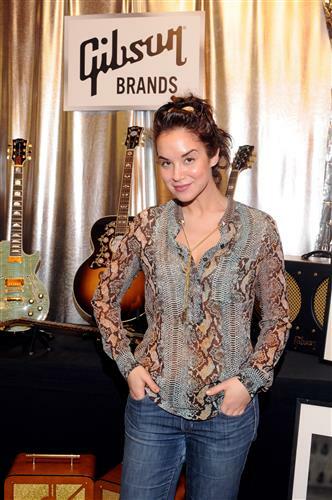 You can help music people in need by bidding on some cool items at www.ebay.com/grammys. BREAKING NEWS: Beyoncé won her 18th GRAMMY today. Now #18GRAMMYs is trending worldwide on Twitter! Presenter Smokie Norful comes out of the pulpit on a Sunday to hand out GRAMMYs! Presenter Smokie Norful, who is nominated for Best Gospel Album for Forever Yours and Best Gospel Performance/Song for "No Greater Love," is about to announce the winner for Producer Of The Year, Classical. Last year's winner was David Frost, who's among the top GRAMMY winners of the 21st century with 13. 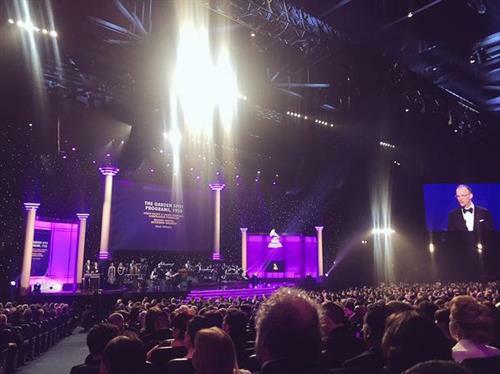 The GRAMMY Awards Premiere Ceremony is one of our favorite parts of GRAMMY Sunday. 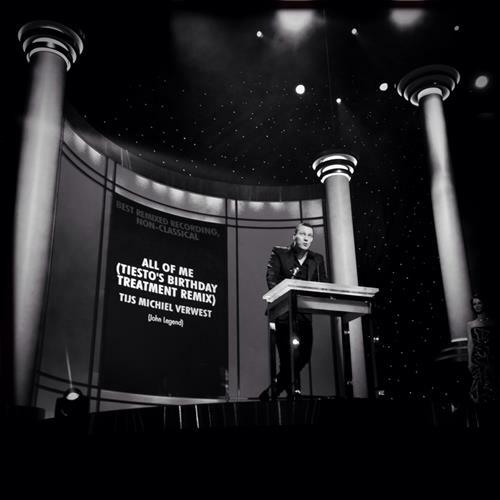 Years past have brought so many memorable moments as artists take home some of the first GRAMMY Awards of the day. We thought we'd share some of them with you here. 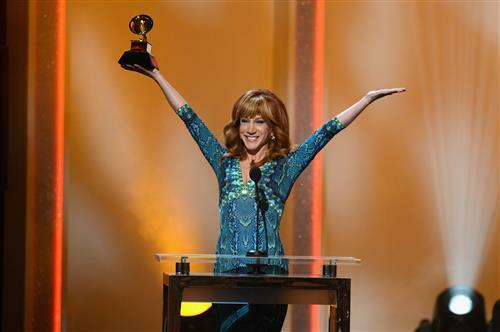 Let's go back to last year when Kathy Griffin took home her first career GRAMMY for Best Comedy Album. Think she was excited? @Beyonce's first win of the night! BREAKING NEWS! #GRAMMYAwards is now trending on Facebook. Join the conversation! Thanks @Peace2Kiara for helping us keep track of Beyoncé's GRAMMY wins. You're right. She now has 18 total. 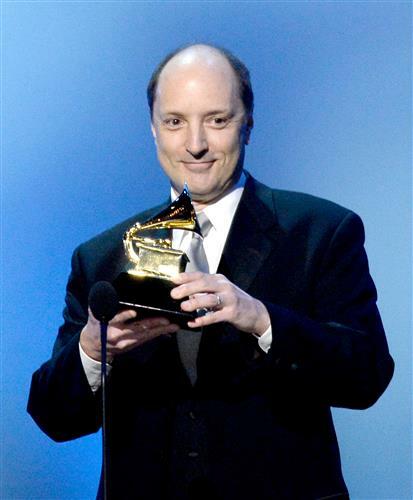 The great engineer Bob Ludwig takes home his second GRAMMY today, for Beck and Beyoncé! Did you know? Performers Alexandra Silber and Cheyenne Jackson are both nominated for Best Musical Theater Album this year as the principal soloists on the San Francisco Symphony's recording of "West Side Story." That category will be announced later in the ceremony. 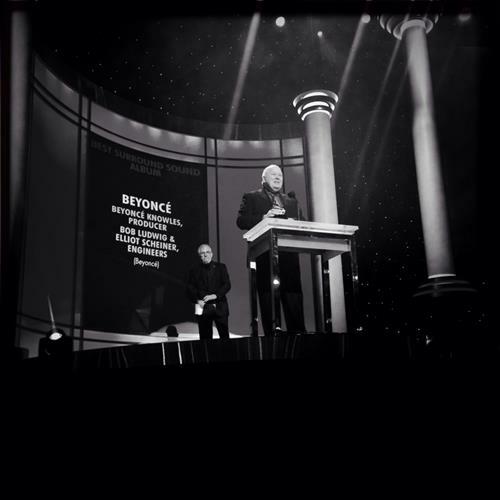 Beyoncé takes home her first GRAMMY of the day and Bob Ludwig takes home his second for Best Surround Sound Album for Beyoncé. Congratulations! 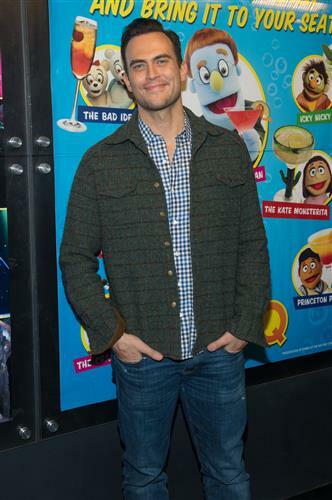 The red carpet is heating up! 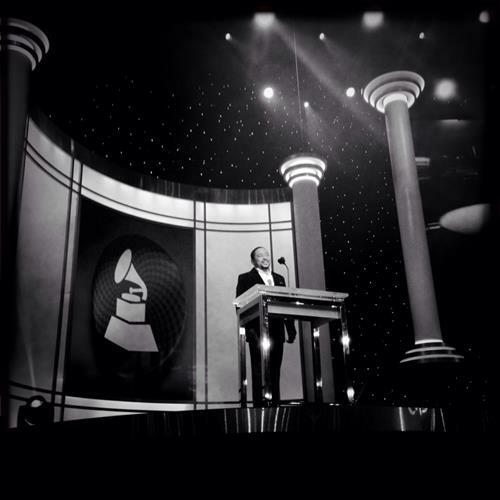 Tiesto takes home a GRAMMY for a remix he did for a John Legend song that he gave away for free for his birthday! 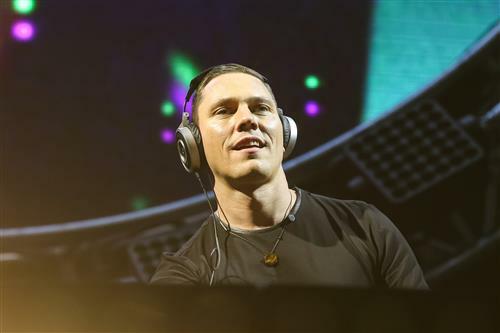 Tiësto takes home the award for Best Remixed Recording, Non-Classical. Congratulations! BREAKING NEWS: #MusiCares is now trending on Facebook. Check out some awesome items available for action to support the foundation at www.ebay.com/grammys. What's on your GRAMMY Sunday food menu? We've got plenty left on our menu. Our official red-carpet coverage will start at 3:45 p.m. PT. And don't forget to keep it right here for our telecast coverage starting at 5 p.m. PT. 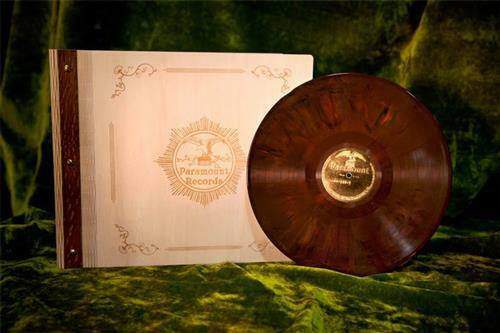 And the winner for Best Boxed Or Special Limited Edition Package goes to The Rise & Fall Of Paramount Records, Volume One (1917-27). Winners are art directors Susan Archie, Dean Blackwood and Jack White. Congratulations! 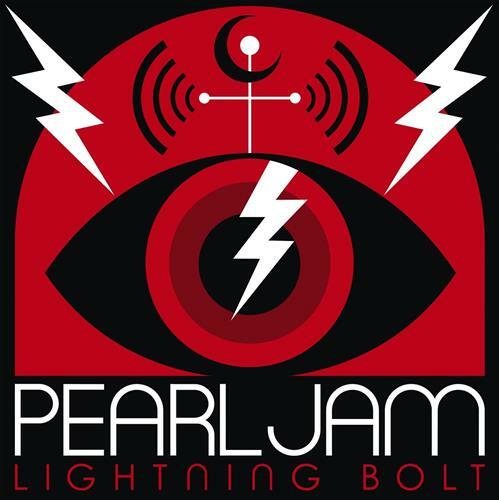 And the winner for Best Recording Package goes to Pearl Jam's Lightning Bolt. Winners are art directors Jeff Ament, Don Pendleton, Joe Spix & Jerome Turner. Congratulations! 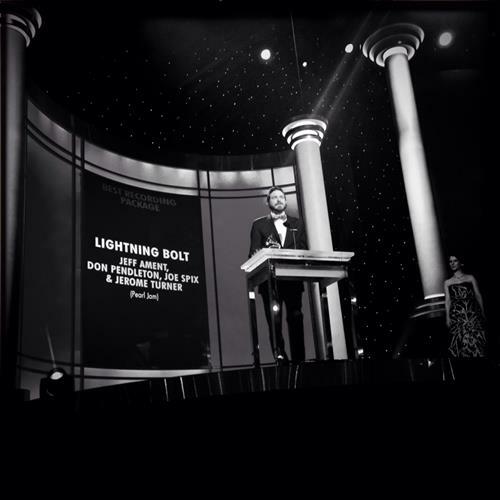 Pearl Jam's Lightning Bolt wins for Best Recording Package! Mali Music, who is up for two GRAMMYs tonight, has a pretty good seat at the Premiere Ceremony. Best Dance Recording nominees Basement Jaxx are here! 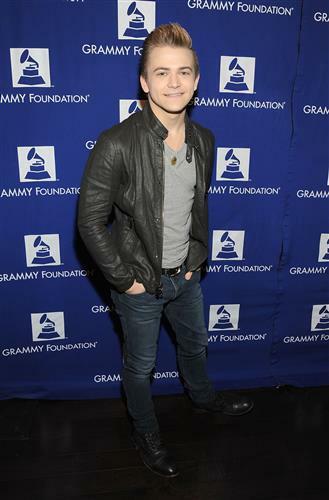 As he prepares to take the stage for his Premiere Ceremony hosting duties, did you know Hunter Hayes was previously nominated for Best New Artist for 2012? This year he's nominated for Best Country Solo Performance for "Invisible." Stay tuned because the winner in that category will be announced right here. • Activate now or let us do it for you. 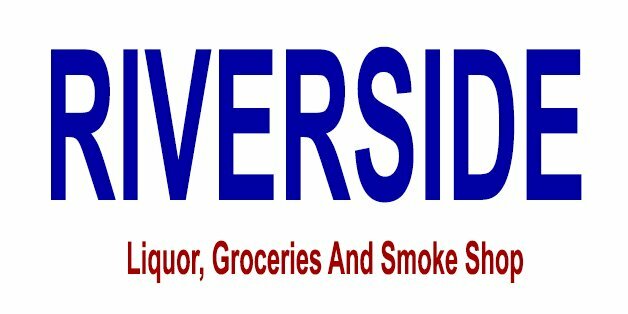 Riverside Liquor, Groceries, and Smoke Shop is open! Come see our great selection of wines, food, and more! 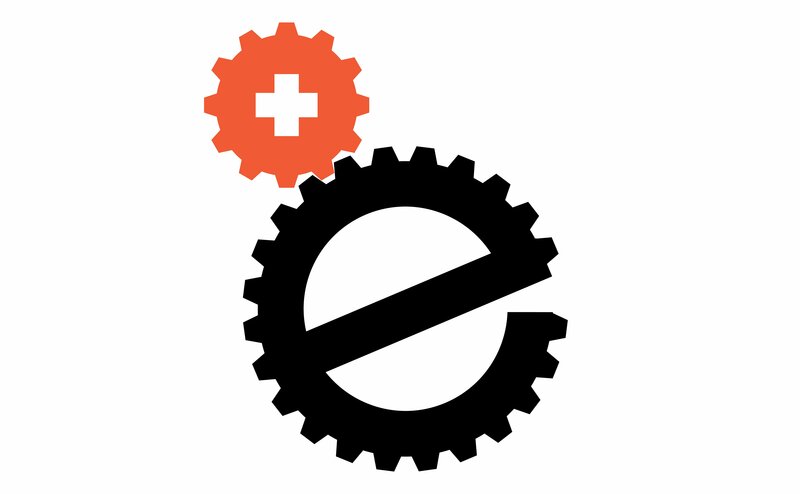 Hint: Enter a keyword that you are looking for like tires, pizza or doctors or browse the full business directory. What is the most important issue for you in the 2016 Presidential Election? Login here with a previously connected Facebook account.